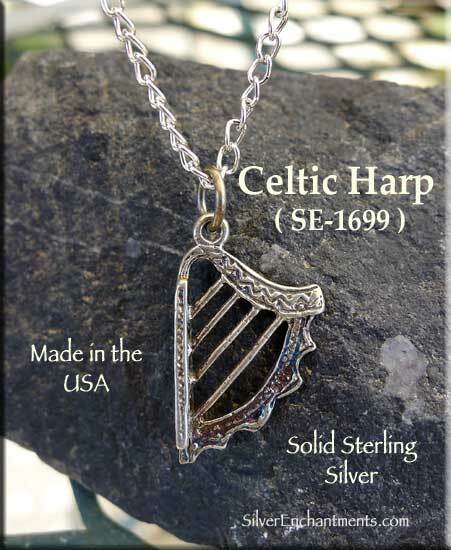 This lovely, detailed Celtic Harp is 3-dimensional and hand-cast in Solid .925 Sterling Silver by us here in the USA. These Sterling Silver Celtic Harp Charms are quite popular among Jewelry Designers for both Earring and Necklace creations. Also the perfect size for a Charm Bracelet. Overall Size : 12mm x 12mm x 6mm = ~1/2" x 1/2" x 1/4"
Charm measurements do not include the length of any removable attachments. These will vary some, but a standard jump ring or split ring would add about 4mm (~1/8") onto the overall length. 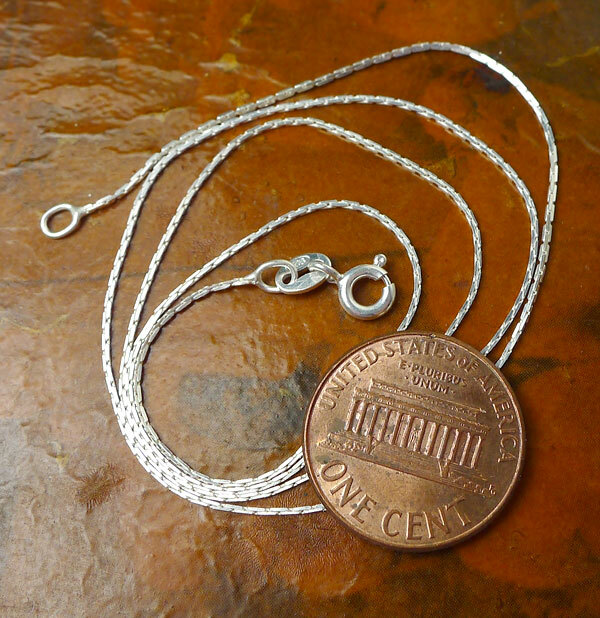 > You can Customize this item into a Celtic Harp Necklace -- Choose from : Charm Only or on a Sterling Silver Necklace Chain (see last pic for current chain style). 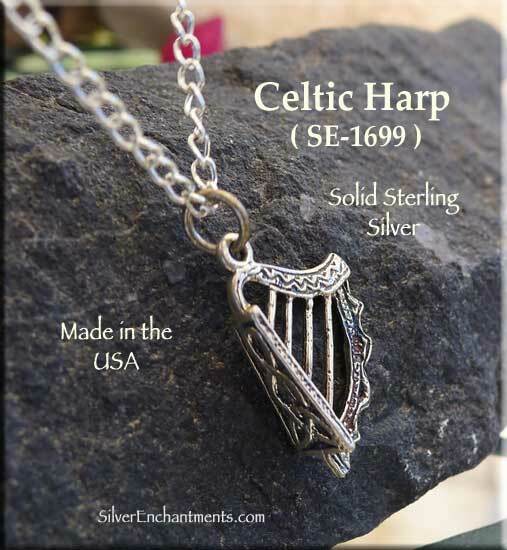 When selecting on a SS Chain, your Solid Sterling Silver Celtic Harp Necklace will come Boxed. 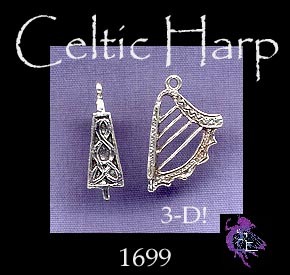 Sterling Silver Celtic Harp Earrings are Also Available. The harp has a significant place in Irish Mythology. It is depicted as a powerful manipulator of emotions and bodily states, endowed with the ability to make those who hear it laugh or cry uncontrollably, and it also has the power to induce sleep. (Harp Mythology).